The Petite Suite guestroom combines grand luxury with distinctive style for an exceptional retreat. 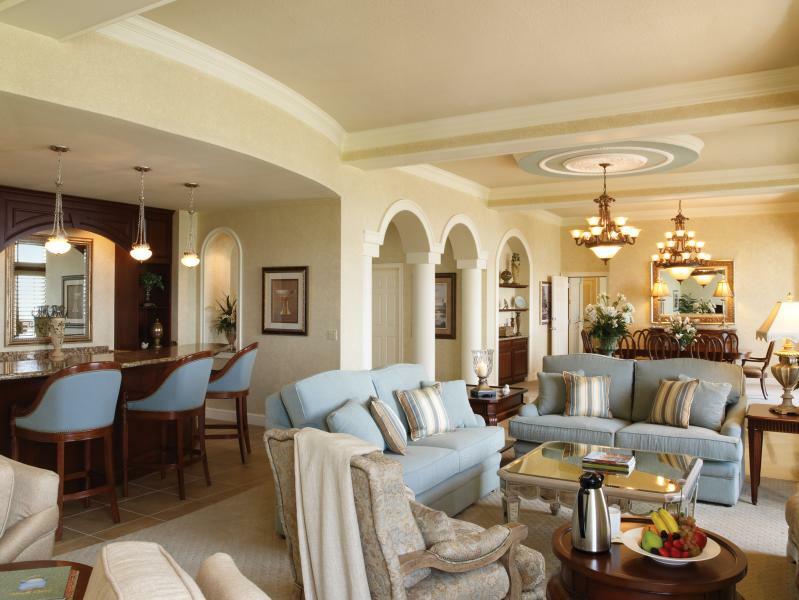 The Petite Suite combines grand luxury with distinctive style for an exceptional retreat. 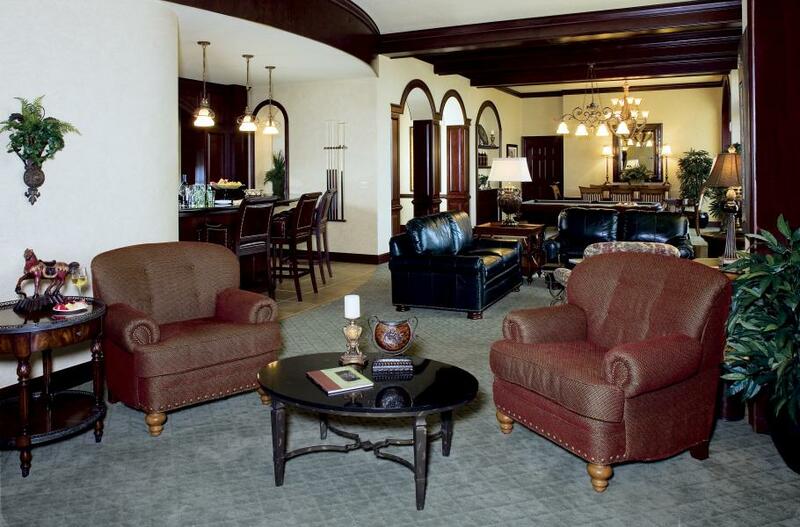 The Executive Suite exudes a refined elegance with all of the comforts of home. 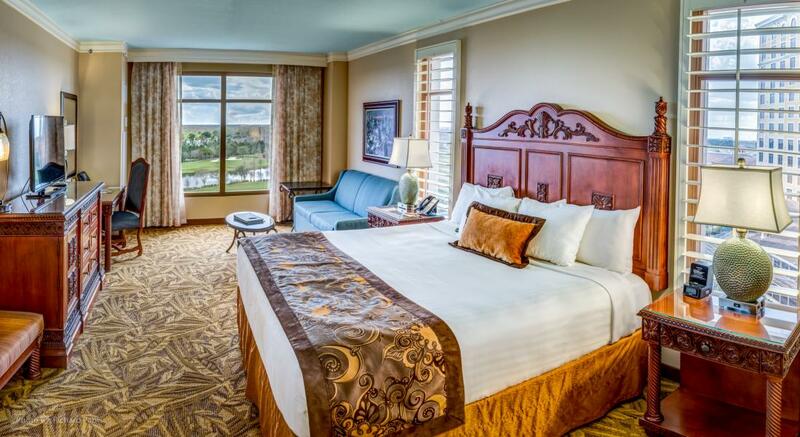 One of Rosen Shingle Creek's Grand Parlors featuring contemporary furnishings and scenic views. 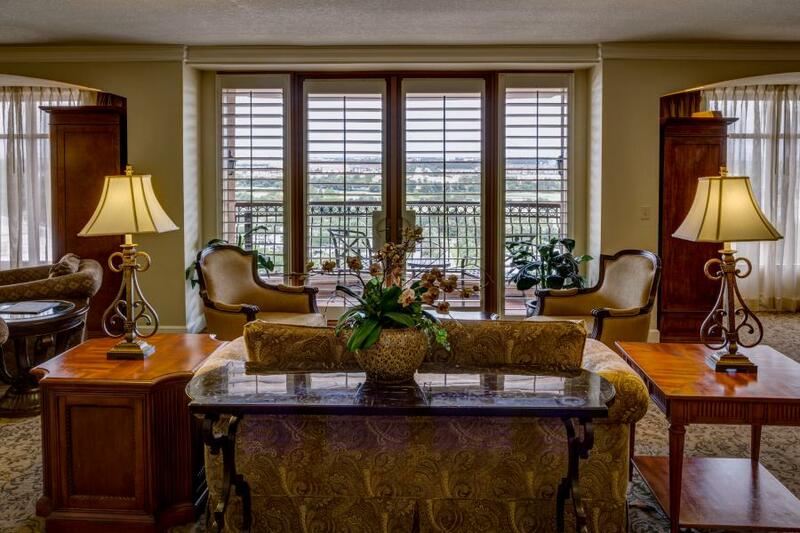 The Grand Suite Parlor with adjoining balcony and spectacular views. 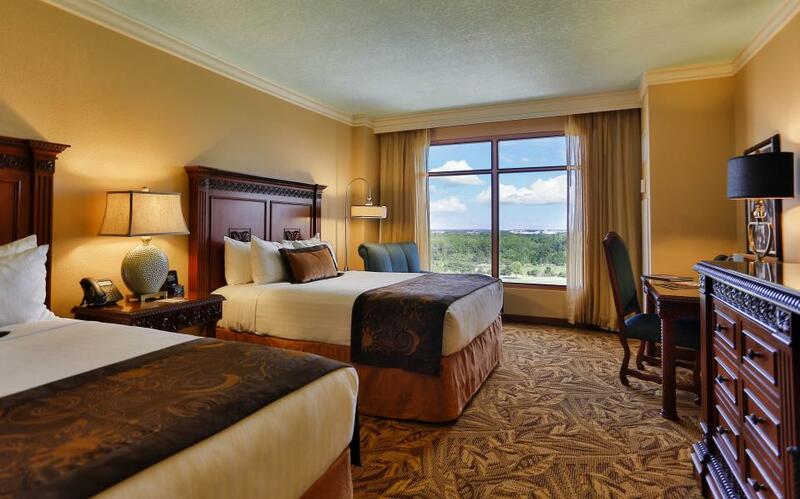 The Everglades Presidential Suite envelops guests in rich, natural surroundings. 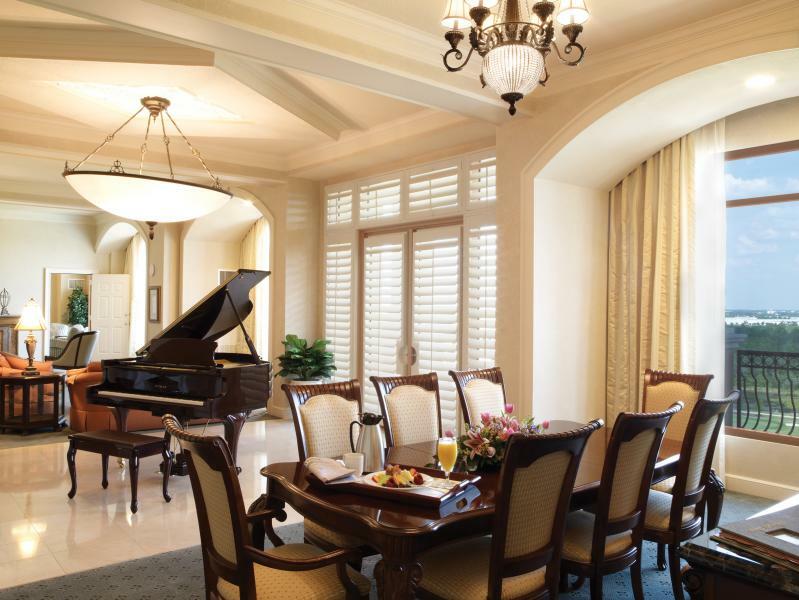 A baby grand piano graces the sleek and sophisticated Ibis Presidential Suite. 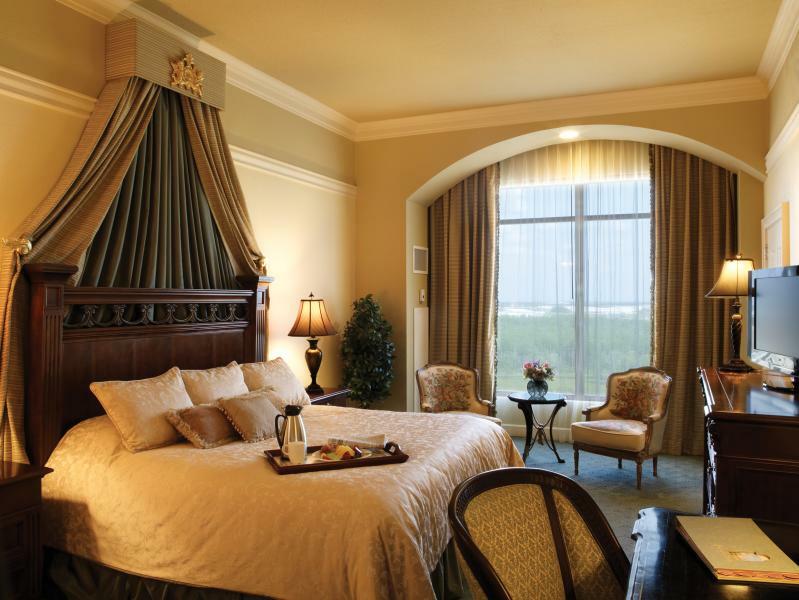 A regal Presidential Suite guestroom features plush bedding and opulent decor.